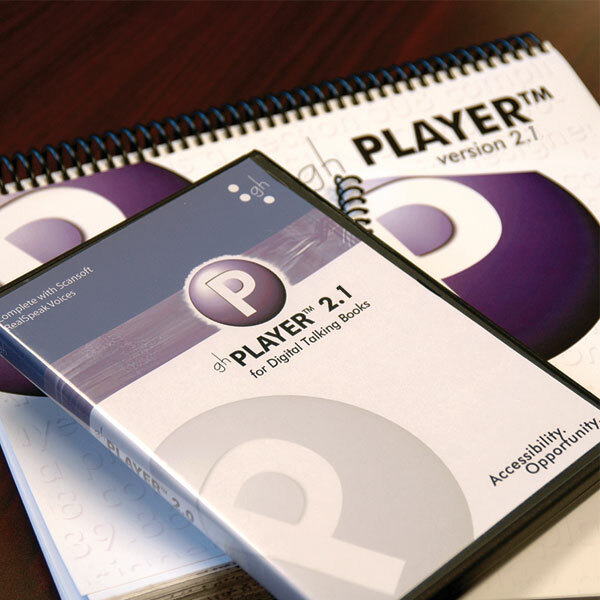 The GH Player 2.1 improves reading productivity for all blind and low vision users, as well as individuals with learning and other print disabilities. This product is a Section 508 and DAISY 2.02, 3.0 compliant software product designed with accessibility as a priority. It provides access to documents, training manuals and publications in both Digital Talking Book and simple text (.txt) file formats. Accessibility features include multiple text-to-speech options, high resolution zooming, contrast enhancement, and synchronized text highlighting. This innovative product permits navigation by page, section, segment or word and - for audio books - in five different time increments. In addition it offers various playback and speech options, viewing methods, bookmarking, and note taking for a richer reading and learning experience. This GH Player 2.0 is the standard version that includes three Microsoft voices, but is also offered in a premium version, which not only includes the three Microsoft voices, but gives you three additional Scansoft RealSpeak voices as well.